We offer several procedures that may be right for you. Dr. Bert Geer is a native of the Upper Cumberland. He graduated with his bachelor of science degree from Tennessee Tech University. He then attended medical school at the University of Health Sciences, College of Osteopathic Medicine in Kansas City Missouri. He completed his residency in obstetrics and gynecology at the University of Tennessee College of Medicine at Erlanger Medical Center in Chattanooga Tennessee. He is board certified and a Fellow of the American College of Obstetrics and Gynecology. 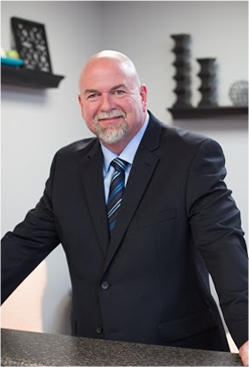 In 2014 Dr. Bert Geer became the first board certified physician in Female Pelvic Medicine and Reconstructive Surgery, also known as urogynecology, in the region. 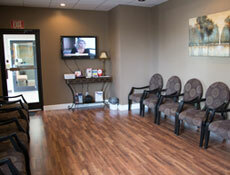 Dr. Geer has been in private practice in Cookeville TN since 1997. 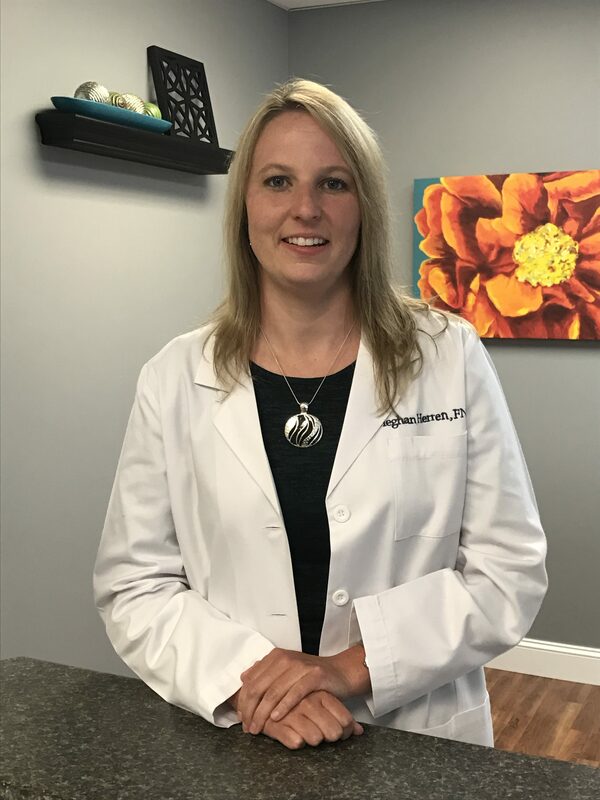 While in private practice, Dr. Geer maintained clinical faculty status with the University of Tennessee, College of Medicine and played an active role in teaching resident physicians. He is also currently involved in teaching other surgeons pelvic support surgery and minimally invasive hysterectomy techniques. He serves as a preceptor in the operating room and teaches new surgical techniques to physicians in anatomy labs. He has been a guest speaker and lecturer on various topics including incontinence, pelvic support surgery, minimally invasive hysterectomy, cystoscopy & hysteroscopy. 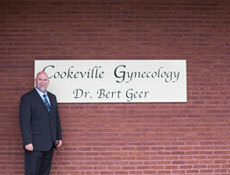 In August 2011 Dr. Geer chose to focus on gynecology and urogynecology only and started Cookeville Gynecology. 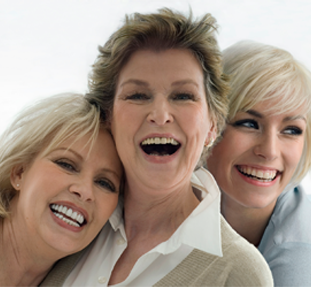 He continues to treat women of all ages for various gynecologic problems. 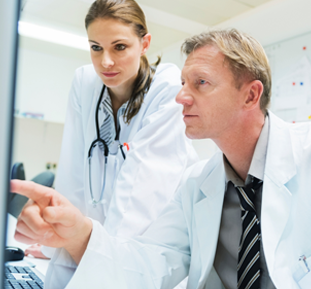 Dr. Geer provides full service gynecology and urogynecology care. His special interests include minimally invasive surgery for hysterectomy including the DaVinci robot and pelvic support surgery for women with cystocele, rectocele, or incontinence. Dr. Geer was the first surgeon in the Upper Cumberland to perform total laparoscopic hysterectomy as well as the first gynecologic surgeon trained to use the DaVinci robot. 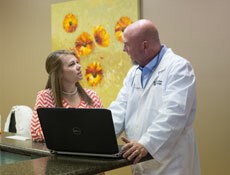 Dr. Geer has also performed thousands of pelvic support and incontinence procedures. Tara Masters is a board certified Family Nurse Practitioner. She received her Bachelors of Science degree in nursing from Tennessee Technological University. She completed graduate school at Emory University in Atlanta, Georgia where she received her Masters of Science degree in nursing. She has worked in Internal Medicine, Family Practice, and Women’s Health. Since 2005 she has worked in providing care for well women and those with many gynecologic problems. Some issues Tara evaluates and treats include abnormal bleeding, painful periods, pelvic pain, and contraception including IUD and Implanon insertion. She also has specialty training in urodynamics testing for incontinence. Tara lives in Cookeville, and is married to Chris Masters. They have 3 children. She is active in her church and community. 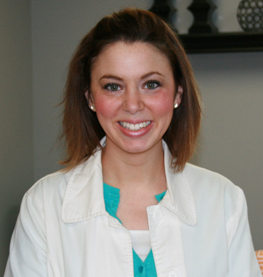 Sarah Brady is a board certified Women’s Health Nurse Practitioner. She received her Bachelor of Science degree in Nursing from Tennessee Technological University. 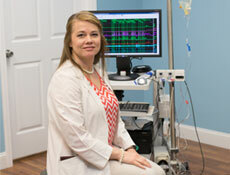 Sarah completed graduate school at Vanderbilt University where she received a Master of Science degree in Nursing. After finishing graduate school, Sarah has completed additional training in the diagnosis and treatment of urinary incontinence. She treats a wide array of gynecological problems and illnesses as well as provides annual physical exams. Sarah lives in Cookeville with her husband Robert Brady. They are active in their church and the community. April Thornton is a board certified Family Nurse Practitioner. She received her Bachelors of Science degree in nursing from Tennessee Technological University. She completed graduate school at Frontier Nursing University in Hyden, Kentucky where she received her Masters of Science degree in nursing. She has worked in Family Practice and Women’s Health. She has worked in providing care for well women and those with many gynecologic problems. Some issues April evaluates and treats include abnormal bleeding, painful periods, pelvic pain, and contraception including IUD insertion. She also helps patient dealing with hormone problems and utilizes various treatment options including hormone pellet therapy. April lives in Sparta with her husband and is active in her community. Meghan Herren is a board certified Family Nurse Practitioner. She received her Associate of Science Degree from Motlow State Community College in 2009. 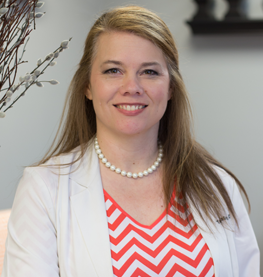 She received her Bachelors of Science degree in Nursing in 2011 and her Master’s of Science Degree in Nursing in 2016, both from Tennessee Technological University. 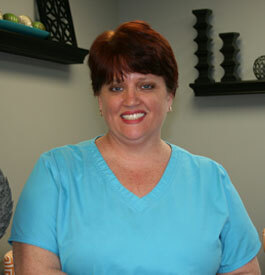 She worked as a Registered Nurse in obstetrics for 5 years at Cookeville Regional Medical Center. She has been employed by TTU School of Nursing as adjunct faculty for the women’s health clinical rotations. Meghan lives in Sparta where she is active in her church and community.